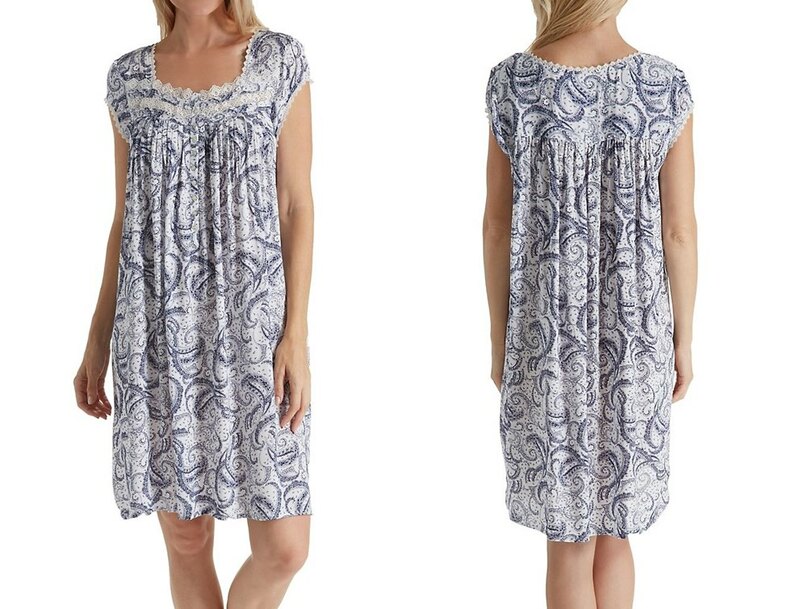 Maternity Nightgown - Between the entire new wardrobe you need when you’re pregnant and the panic over the cost of all the new baby gear, the last thing you want to be stressed about is sleepwear that's comfy and cozy feels just right! A great nightie is a must for any expectant mama, but there’s no reason to break the bank to get one. That red flannel nightgown you bought in your first trimester won’t be as appealing in the spring and summer at the end of your pregnancy, so think about choosing a style that you can wear year round. This way you can get away with only buying one or two maternity nighties instead of needing several for each season. Think medium weight fabrics, like a soft stretch cotton, or microfiber. 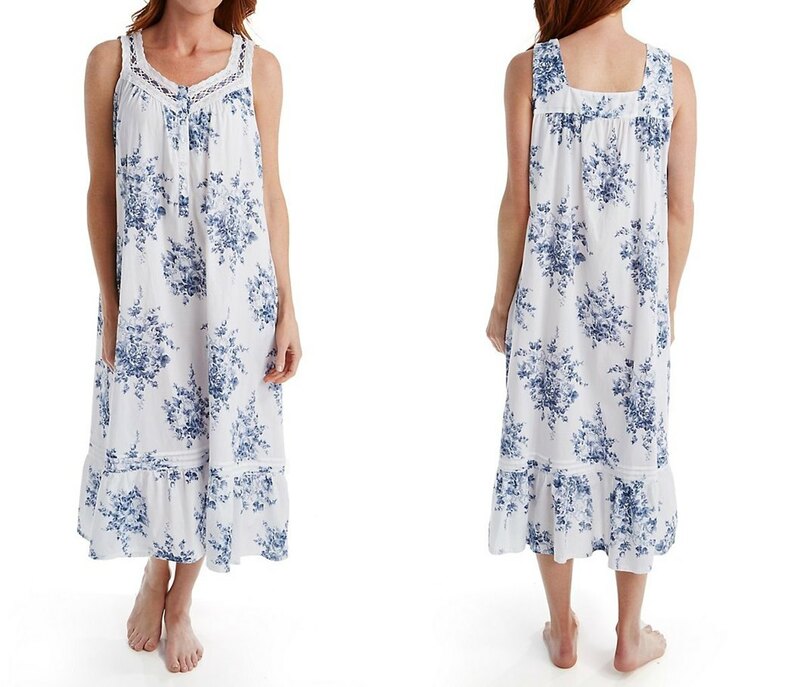 Look for a mid length night gown that won’t be too hot in the summer or too skimpy in the winter. Opt for a color or print that’s versatile in any season. Steer clear of patterns like snowflakes, red plaid, or neon beach prints and opt for something neutral that works any time of year. 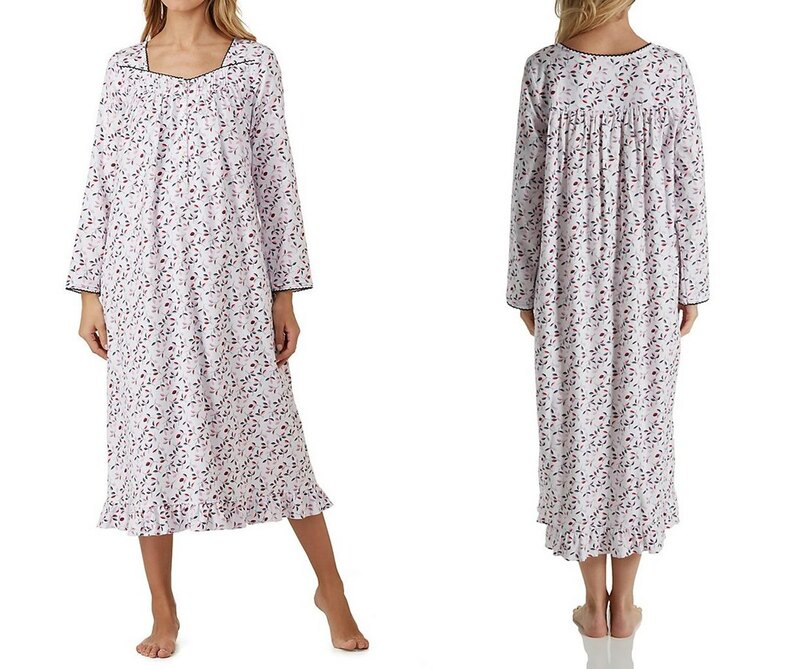 Cotton nightgowns are a great choice for new mums. Available in a plethora of styles that are easy to wash, they're long-wearing, soft and comfy. Retailers assume that pregnant women are easy targets for overspending and often increases prices on anything related to maternity. Try skipping over the maternity sleepwear section and look among the racks with the regular nighties. You may want to choose one or two sizes up from what you normally wear, and choose a style made of a stretchy fabric to accommodate your growing shape. This lets you take advantage of average prices and steer clear of overpriced maternity items. No matter what you spend on a maternity nightgown, it becomes an even more savvy purchase when you buy sleepwear you can wear after your pregnancy. Choose a style that also works as a nursing nightgown and you’ll eliminate the need to buy another item after baby is born. Look for soft, comfy fabrics that you’ll look forward to wearing, and opt for styles with button closure fronts or elastic necklines for easy nursing access. Even a pricy nightie becomes reasonable when you consider the amount of wear you can get out of it, before and after baby comes. 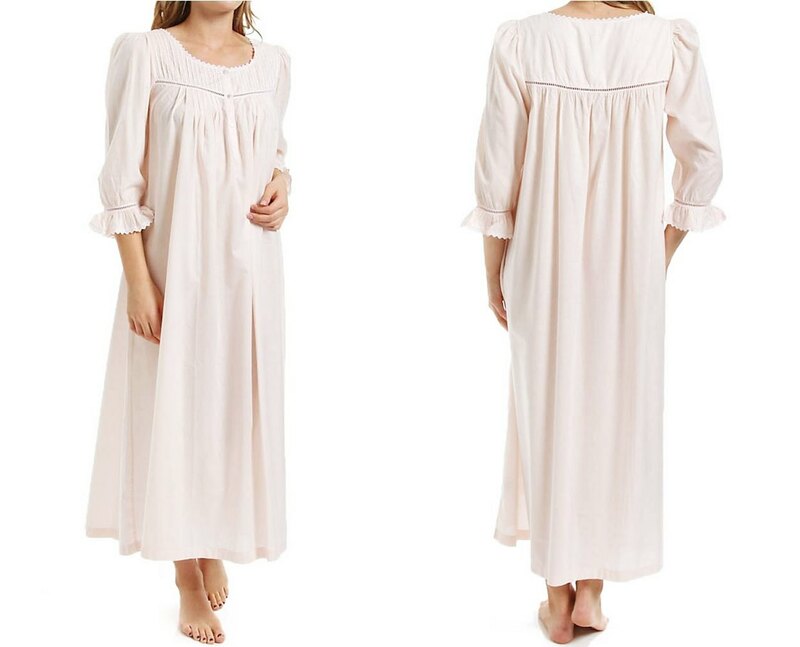 Most new mothers favor knee length nightgowns because they're easy to wear and practical to maneuver around the baby. Paired with a matching robe, they make a nice lingerie set with a polished look. 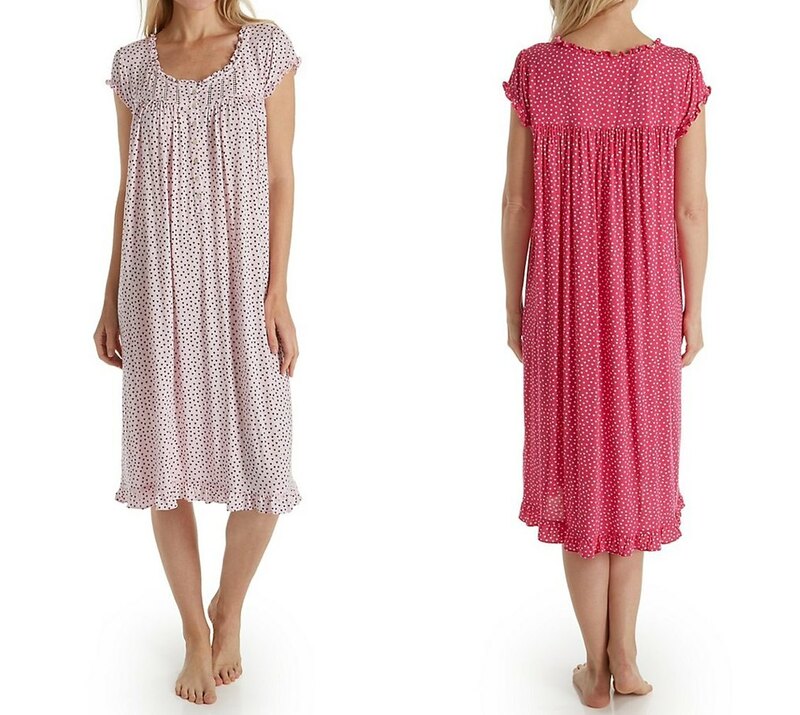 Why hoof through the mall and battle the crowds when you can put your feet up and do some online research on the perfect maternity nightgown styles? Save cash by scoping out online sales, doing price comparisons, reading reviews from other women who have worn certain styles, and look for exclusive offers. All of this legwork can be done from the comfort of home and can end up saving you loads of money on your maternity sleepwear purchases. Show your loyalty and look for sleepwear from your favorite department stores or lingerie boutiques where you usually shop. You may already be a member of their VIP club or frequent buyer programs, and if not now is a good time to sign up. Take advantage of buying all of your intimate apparel under one roof to score bulk savings, special sales, loyalty points, and other ways to grow your sleepwear collection without blowing your budget.